Our first horse arrived in November 2012. 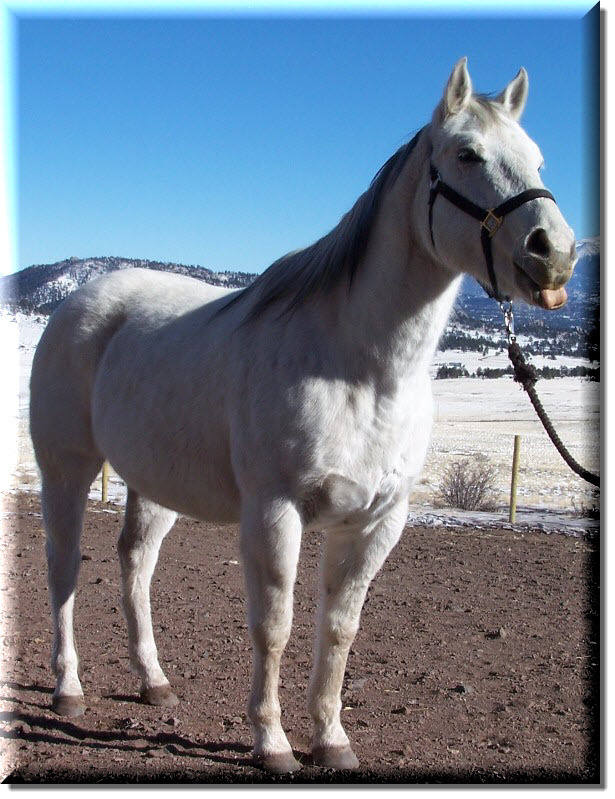 "Cowboy's Diamond Girl", or "Diamond" for short, is a 12-year-old registered paint horse from Florissant, Colorado. Diamond has a chronic back injury that prevents her from being ridden. She also has some trust issues, so she's a little shy until she gets to know new humans. Diamond is just under 14 hands tall. Diamond is our lead mare and does a wonderful job of looking after our blind horses. Unless she's really hungry, in which case she tries to steal their food when we're not looking. She's a rascal!